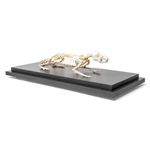 Anatomical Hare skeleton model (Lepus europaeus) This prime specimen of an animal skeleton This impressive specimen of a genuine cow skeleton comes mounted on a wooden base for easy display in the classroom. 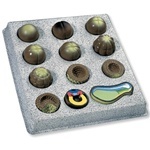 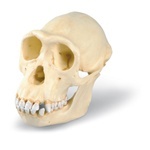 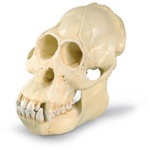 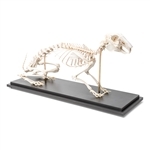 The Felis catus skeleton comes mounted on a wooden base for easy display in the classroom. 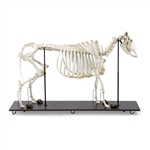 This sheep skeleton is a wonderful aid to study the anatomy of Ovis aries. 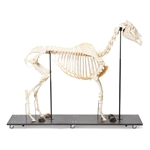 The domestic sheep skeleton is also a great example of an animal skeleton structure. 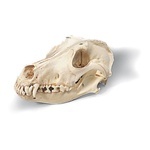 This series shows different types of animal teeth. 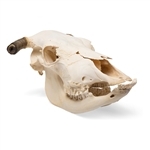 The pig skull is flexibly mounted allowing for demonstration of natural movement of a pigs skull. 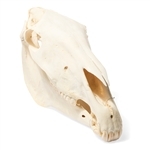 This horse skull is a great way to study the anatomy of Equus caballus. 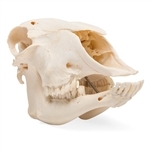 The sheep skull is flexibly mounted allowing for demonstration of natural movement. 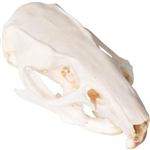 The European hare, Lepus europaeus, is a great specimen for studying the anatomy of a common hare. 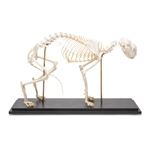 The cat skull is flexibly mounted making demonstration of natural feline movement possible. 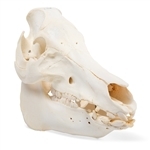 This pig foot is a genuine specimen from an adult pig skeleton. 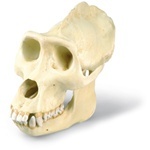 There is no better way to study the anatomy of Sus scrofa then with the real animal skeleton foot. 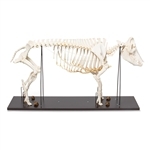 This pig foot skeleton is great for comparative anatomy and other studies. 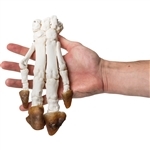 This horse foot is a genuine specimen from an Equus caballus skeleton. 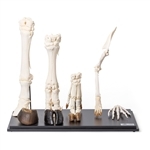 This mammal feet series graphically shows a representative set of mammalian feet. 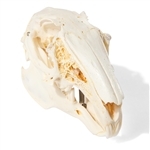 There is no better way to study the skeletal system of the common rat and other small mammals then with the real Rattus rattus skull. 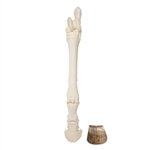 There is no better way to study the anatomy of Bos taurus than with this real cow foot skeleton. 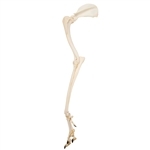 This dog leg is a genuine specimen from a Canis domesticus skeleton. 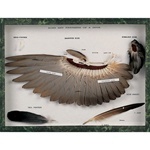 The bone and feathers of Columba palumbus are present making it great for comparative anatomy, ornithology and other studies. 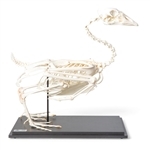 This mallard duck skeleton is from a real specimen. 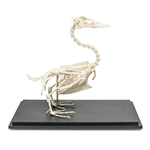 Every minuscule bird bone is easy to study with a real skeleton. 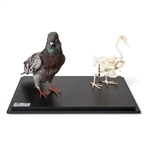 The skeleton and stuffed specimen of Columba palumbus, the white dove or common wood pigeon, comes in a convenient showcase for easy display in the classroom or lab. 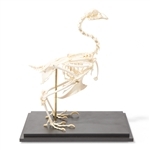 The goose skeleton, Anser anser, comes flexibly mounted on a wooden base for easy study of the bird skeletal system. 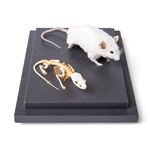 This real mouse skeleton and stuffed specimen comes in a convenient showcase for easy classroom display and study. 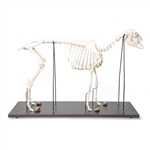 Anatomical Dog Skeleton model (Canis domesticus) This prime specimen of an animal skeleton The dog skull is flexibly mounted allowing demonstration of natural canine movement.